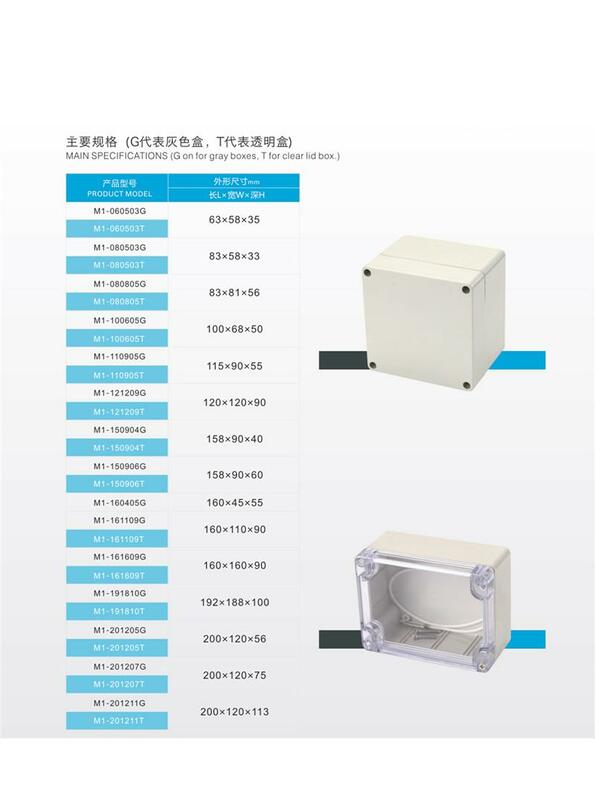 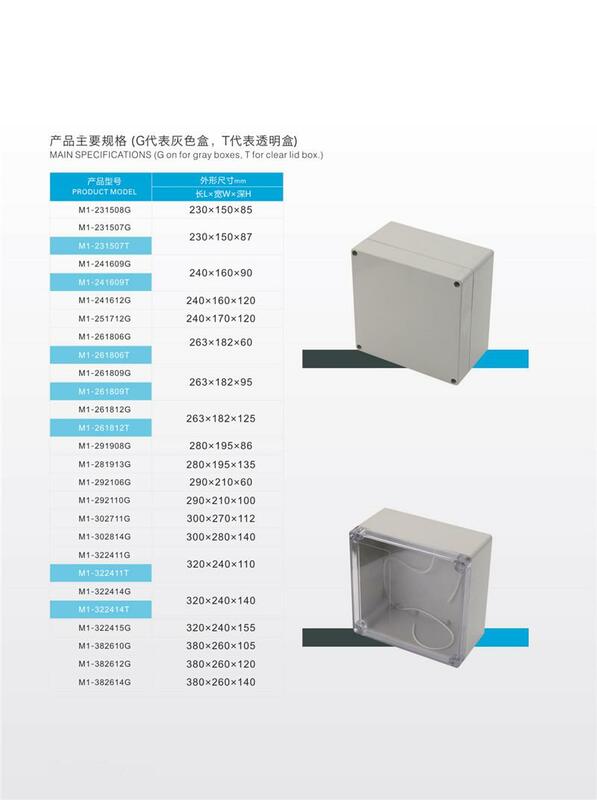 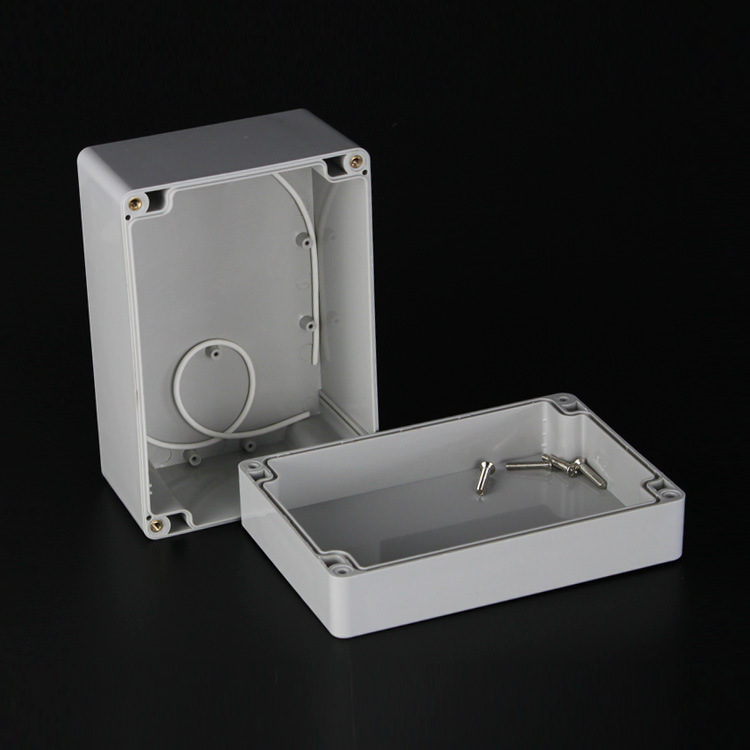 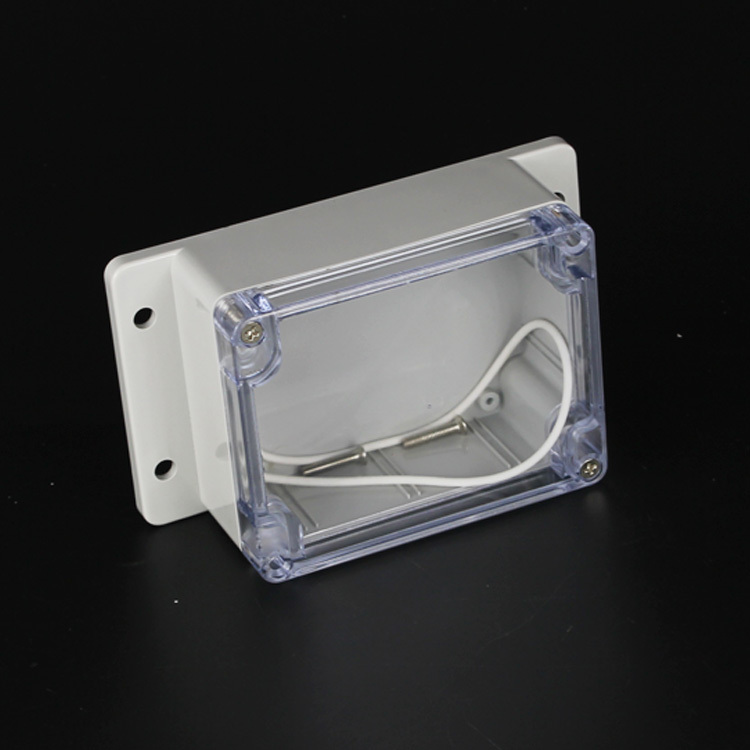 High-end type plastic waterproof box is made from high quality ABS engineering plastics or polycarbonate(PC) material. 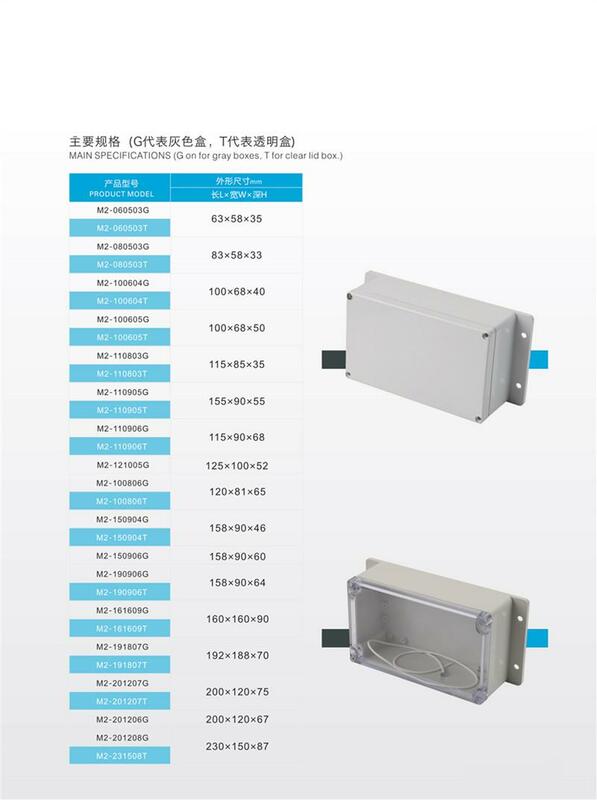 Suitable for electric and electronic control equipment, shipbuilding, petrochemical industry, large factories, coastal factories, terminal water treatment facilities, all kinds of natural disaster prevention equipment in harsh industrial environment. 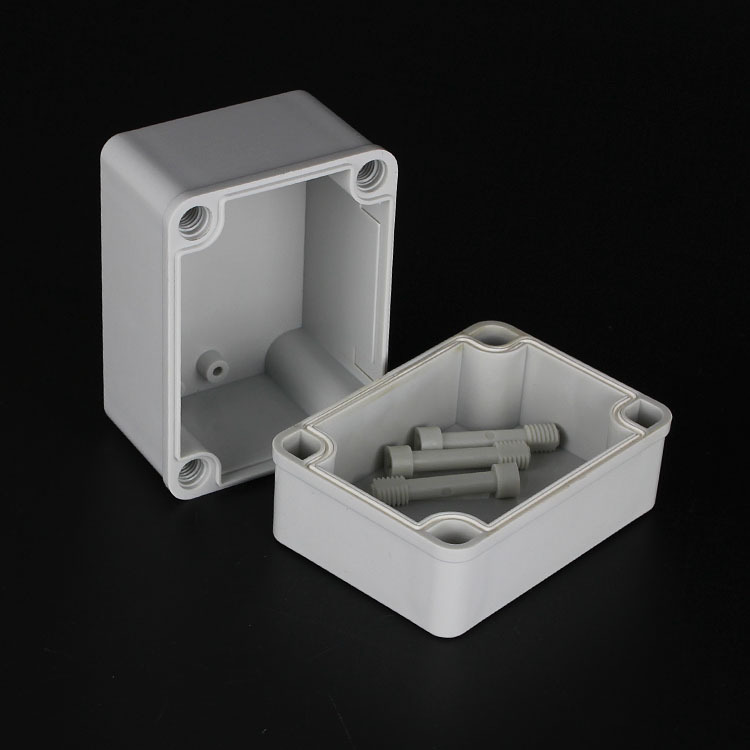 Product adopts plastic bolt design, prevent loss effectively, 1/4 weight of metal box, impact resistance, corrosion resistance, long life, good insulation performance, easy processing.